Obesity is becoming a problem in our pets. Just as it does in humans, it can lead to a variety of problems including diabetes, arthritis, breathing problems, reduced exercise tolerance and does reduce not only their quality of life, but life expectancy. 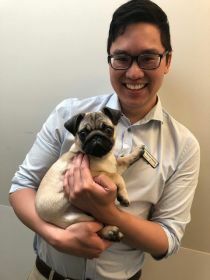 Our Slimmers Club is a free service where we document your pet’s current weight, select a realistic goal weight and tailor a Prescription Diet to suit their needs. Regular weigh in and reviews with your Slimmer Club Consultant are an essential part of your pet’s weight loss success.